MasterCard is a multinational American company that provides customers the world over with ways to make online and offline payments. The MasterCard name is branded onto countless credit cards and debit cards and is the go-to card for many providers of credit in the United States and across Europe. It is second only to VISA in terms of total cardholders and it is well ahead of providers like Discover and American Express. MasterCard do not offer credit themselves. They provide a service, they offer a number of features but they are not the ones providing credit, even if you have a credit card with their name on it. That’s the job of the company that provided you with the card, whether it be a specific credit card provider or a bank. There are hundreds of casinos and gambling sites on which you can use your MasterCard. The list below is just a small fraction of them, but these are the bigger ones and the ones that will let you withdraw your winnings. When you make a deposit using a MasterCard you will see either the name of the parent company or the casino itself on your statement. This can be as obvious as “B365 INTERNET” for Bet365 and “BV” for BetVictor, or relatively obscure like “CASSAVA ENTERPRISES” for 888 Casino and “FIRSTCLEAR” for Unibet. If it is a credit card that you are using then it will be taken from your total credit and added to your bill at the end of the month, accruing interest if any is owed. If you win and make a withdrawal, then it will be paid back as credit, either reducing your credit card bill or giving you a positive balance which you can spend at a later date. There is no way to get cash from this withdrawal. Some casinos will insist that you withdraw using an alternative method if you deposit using a MasterCard, but the ones that do not will insist you use the same method to withdraw as you deposited with, which means there is no way around this. The withdrawal may show up on your statement with the name of the betting site or the holding company, but in most cases it shows simply as “Credit”. 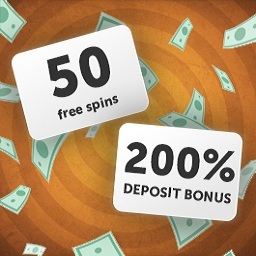 If you find a casino that you like then simply follow the steps below to make a deposit. It is all very straightforward, but you need to make sure that you pickup a bonus as these are offered by all online casinos these days. Deposit: Select “Credit Cards/Debit Cards” from the deposit options and find the MasterCard one. Check Security: Make sure that you are on a secure page, preferably a payment gateway provided by a leading, highly secure network like Sage or WorldPay. Look for the padlock symbol to the left of the URL. Input Details: Put in your address (as it appears on your card statement) and the card number. You won’t need the start date but you will need the expiry date and the security code, which is the final three digits on the back of the card, where the signature strip is. Confirm: Click “confirm” once and wait patiently. By clicking it several times you may inadvertently make several deposits. You should be directed to a confirmation screen where it will tell you that the payment as successful and that the money is in your account. Error: If there was an error with the deposit and it didn’t go through, then you may have simply entered an incorrect number. If the error persists, try a different browser, or contact live chat. You should also make sure that the money wasn’t taken out, as sometimes errors can be shown even though the money was deposited, which means you may end up making many more deposits before you realise. Not all sites will allow you to withdraw to a credit card. The ones that do will insist that you withdraw back to the credit card you deposited from, the ones that don’t will allow you to use another method. Some will see that as a good thing, others will not, so you may want to check your chosen casino’s payment methods before you signup. Withdraw: Click on the “Cashier” feature, which may also be labelled as “My Account” or even “Banking”. Return the Money: Find your MasterCard details and select them. On most casinos, you will be given no other option and will need to return money to your initial deposit method. Amount: Choose the amount, click “Confirm” and then wait for your money to arrive on your credit card statement. Most schemes will pay less than their AMEX counterparts, such as the Avios schemes that reward 5x more points when you use an AMEX than when you use MasterCard. In the terms and conditions of all major schemes, Avios included, it states that you can not gain points on online casinos. You can also not gain reward points with spread betting, lotteries, bingo and other forms of gambling. In most cases, these rewards aren’t worth the paper they are written on, and this is definitely true if you are an online gambler looking for extra loyalty bonuses. This isn’t always as straightforward as you might expect. If you are a victim of fraud it is and you will get your money back. But if you believe that you have been wronged and you are claiming money back from a legitimate online casino, then you could encounter some issues. The same applies with any site that you are trying to initiate a MasterCard chargeback with. If you pass the initial tests and they proceed, then your bank/card provider will return the money to your account and then send a request to MasterCard and to the company. The company will be able to respond and dispute and if they do then the chargeback may fail. In most cases, if you are in the right then it will not. But even if you are then you may still have a fight on your hands. Usually, your bank will be on your side, but at the first sign of difficulty, they may back down, so be prepared to go through other avenues if that happens. You may also want to threaten to leave them for a competitor considering they no longer support you as a customer. MasterCard is one of the safest ways to gamble online. The same applies to any credit card as they employ some of the latest state-of-the-art technology to ensure that every transaction is 100% safe and secure. Your payments should be processed quickly, but when it comes to withdrawals you may need to wait a little longer for the casino to release your money and for that money to land in your account. What is the Best MasterCard Casino? Do All Online Casinos Use MasterCard? No, but the majority of them do. VISA is the biggest one when it comes to credit and debit cards and they are available on more casinos as a result. But it’s usually cards like Discover and AMEX that you struggle to find on online casino payment screens, not MasterCard. Simply put, if your chosen online casino doesn’t accept MasterCard, then they are doing something wrong and probably aren’t worth joining anyway. Can I Use MasterCard to Gamble in the US? You can not gamble online using a MasterCard in the United States. Online gambling has to pass through many loopholes just to be available in the United States. The sites that make themselves available to US players are often based in Central America and they get around the laws by making sure they are legal in the country they are based in. However, they can not get around the regulations imposed by US financial services, which is why you can’t use methods like MasterCard, VISA, AMEX or even PayPal on them. Is it Legal to Gamble with a Credit Card? If you reside in a country where gambling is legal then yes. However, it is not recommended for people with a history of problem gambling as it could lead to excessive gambling and debt.